At the beginning of 2011 Intel initiated a new class of notebooks, the Ultrabooks. 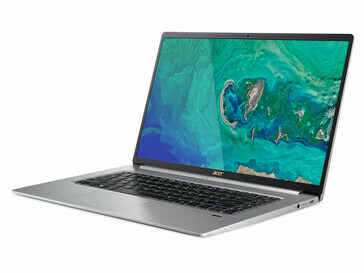 Notebook manufacturers could use the protected designation "Ultrabook" if they met certain criteria, for example the CPU (Intel ULV 15W), battery runtime (6 hours FHD playback) and dimensions (<21 mm/~0.86 in). Today, Intel's Ultrabook program is already a thing of the past. The technology made the old requirements redundant; you can get slim laptops with 45W CPUs nowadays. However, touch panels are still not very popular for laptops and are more of an exception. The market offers numerous systems with docking keyboards (Surface Pro) and 360 degree laptops (e.g. Lenovo Yoga) instead. 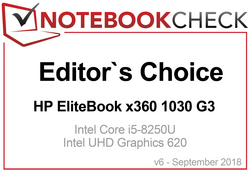 We therefore decided to define our own requirements for the Top 10 ranking of Ultrabooks from now on. They differ from Intel's old points, but ensure better demarcation of subnotebooks. 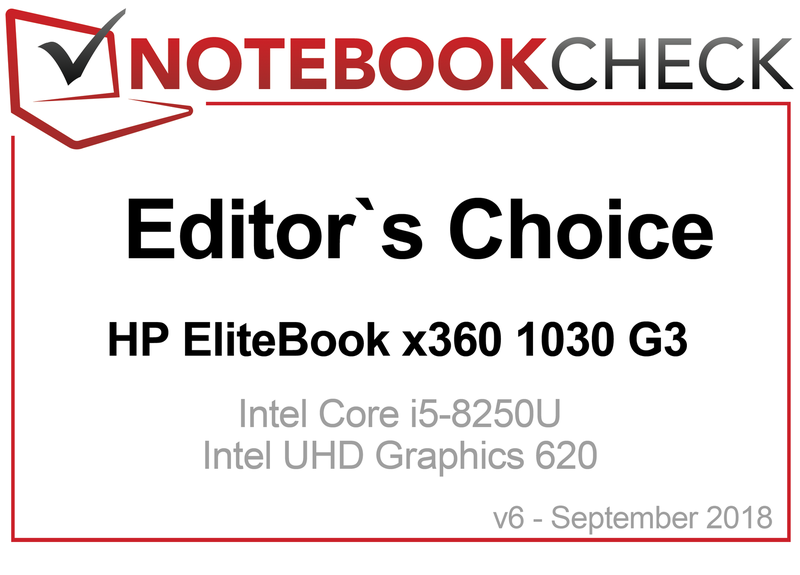 The following table shows an overview of the Top 10 Ultrabooks (that are available) reviewed by Notebookcheck in the previous 24 months. If the ratings are equal, the latest review is listed first. The table can be sorted by clicking on its headers and filtered by entering text in the text field above it (e.g. "matte" or "touch"). 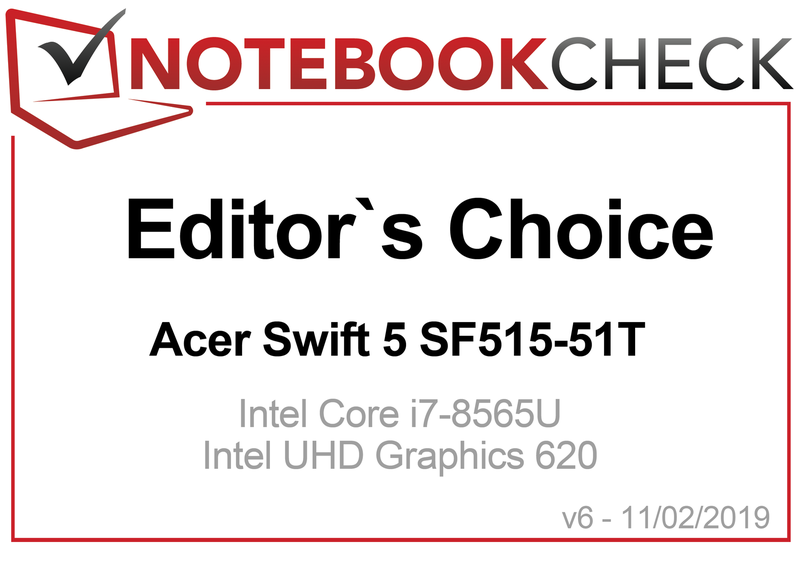 02/10/2019: Just missed: Acer's Swift 5 SF515-51T-76B6 (here in review) did manage to secure a spot in our Top 10 Subnotebook ranking, but the 15.6-inch device does not enter our Ultrabook Top 10 because the rating is short by 1%. Unfortunate, since it is probably the lightest 15.6-inch laptop at just 999 grams, which even beats the LG Gram (1100 g). This results in our Editor's Choice Award in February 2019. Respect! 999 grams for a 15-inch device. The color changed, but the design of the Surface Pro 6 is otherwise pretty much the same. Microsoft's tablet is still a high-quality device and feels good in the hands. 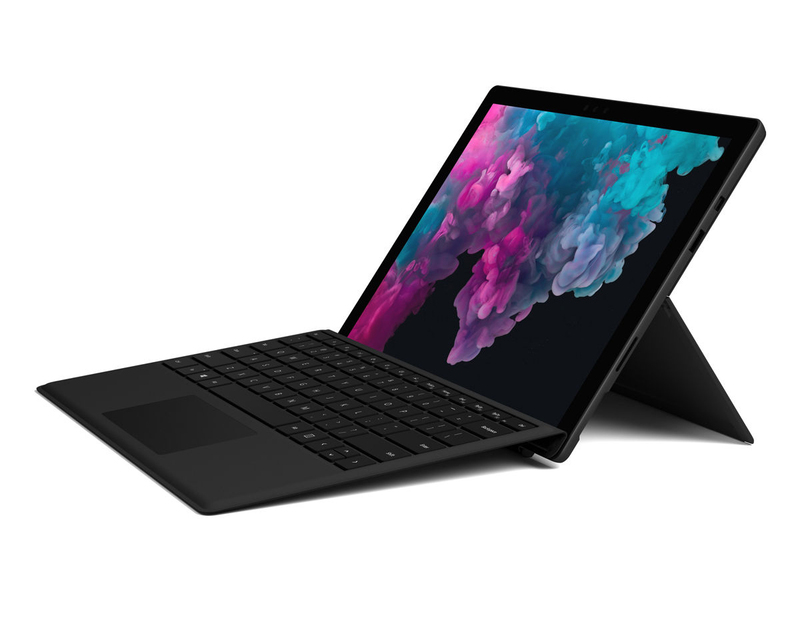 The manufacturer even implements a CPU upgrade and the quad-core processor in the Surface Pro (2018) is on par with a laptop. The CPU throttles under sustained workloads by 11 % despite the active cooling, but this is still a very good value compared to bigger laptops. Even bigger machines often suffer from a bigger performance drop. The battery runtime is comparable to the predecessor and we determined about 8.5 hours. This is good for a business day and there is no real competition in this performance class right now. Microsoft follows the familiar principle and does not change the design of the 2018 Surface. Design, haptics, and build quality are convincing and the Surface Pro 6 is powerful. A USB Type-C port including Thunderbolt 3 would have been more future-proof. We cannot understand why Microsoft still ignores the modern connector. Microsoft charges more than 2000 Euros for the high-end model with i7 CPU and 512 GB SSD. HP's Elite x2 is in the same ballpark, however, so the Surface Pro is not overpriced. The Surface Pro 6 combines many positive features and leaves a very good impression during our review. Both the Signature Type Cover and the Surface Pen are optional extras, which raise the price even further. We also miss a USB Type-C port, which should be included in this price range. The Surface Pro 6 based on the i5 processor is not quite as powerful as the more expensive i7 SKU. Microsoft waives the active cooling unit on the smaller model, so the performance difference is higher than usual at 22 %. The 128 GB SSD is also a bit slower. In the end, potential buyers have to decide whether the additional price for the Surface Pro 6 i7 SKU is worth it for their personal usage scenarios. 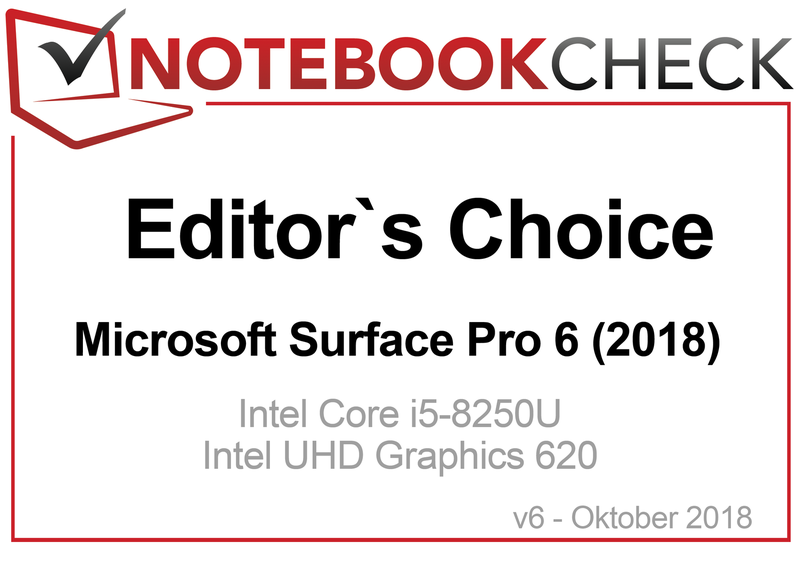 You should choose the more expensive SKU if you need more CPU performance, but the Surface Pro 6 with the i5 is the better choice if you prefer a silent device. 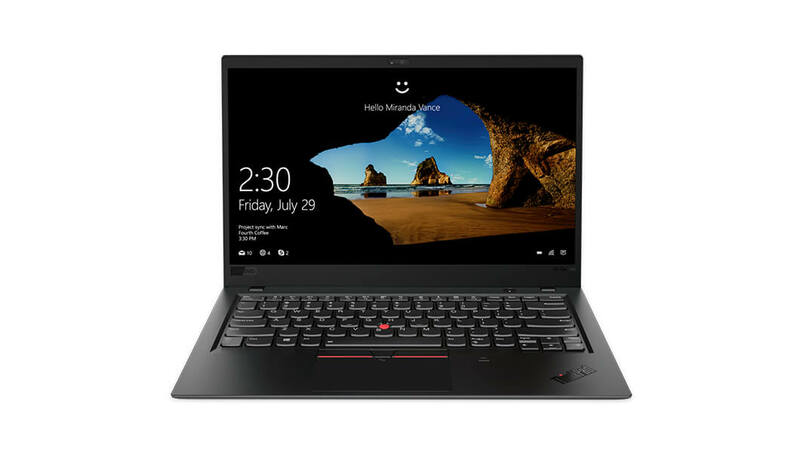 Lenovo offers the sixth generation of the ThinkPad X1 Carbon (here in review). This time we reviewed the SKU with the matte WQHD screen. The 14-inch business laptop got an excellent rating (90%) and secures a top spot in this ranking. We now had the chance to test all display options of the ThinkPad X1 Carbon: The default 1080p IPS screen with and without touch, the matte WQHD panel as well as the glossy WQHD HDR option, which is brighter than all the others. However, the high resolution requires more power, so the runtime suffers a bit. The default matte 1080p SKU is leading the mobility aspect. The Lenovo ThinkPad X1 Carbon is one of the best business laptops, and this does not change when you select the matte WQHD screen. The matte panels are better suited for work compared to the very glossy WQHD HDR screen. The matte WQHD panel from LG Philips is subjectively superior in terms of picture quality compared to the FHD panels, but the latter last a bit longer on battery. 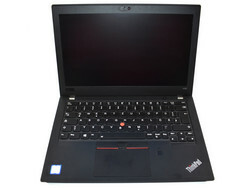 Other than that, the ThinkPad X1 Carbon is an excellent business laptop with a high-quality, slim and light chassis. The utilization of the quad-core processor is good and we like the modern port selection including regular USB Type-A ports. As you expect from a ThinkPad, you get an excellent keyboard and the battery runtime of 9 hours is not bad, either. Drawbacks include the heavily limited maintenance, the missing Ethernet port (even though the corresponding adapter is provided), as well as the high-pitched fan noise, which is sometimes running without apparent reason. The business alternative is offered by Fujitsu. 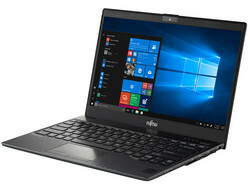 The LifeBook U938 is almost 200 grams lighter and just slightly smaller with its 13.3-inch panel, but Fujitsu does not offer as many display options. 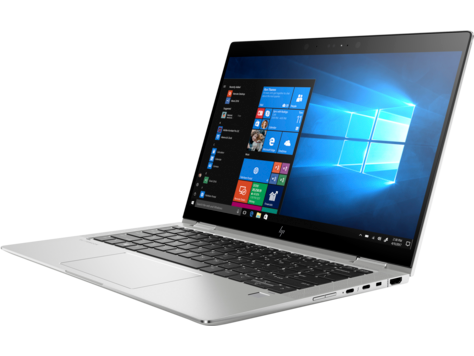 The HP EliteBook x360 1030 G3 (here in review) ist the 13-inch alternative to the EliteBook x360 1020 G2, which is also in this ranking (P4). Compared to the previous model, the 1030 is slimmer and lighter, but the surface temperatures are higher. This unfortunately affects the performance, especially on battery power. There is a lot to like as well: The bright screen, the quiet fan, very good input devices, security features, and optional 4G. Mobile business users also benefit from the long runtime (10 hours WLAN test). Things like upgradeable components and ports (SD reader) had to be removed in favor of the slimmer dimensions. 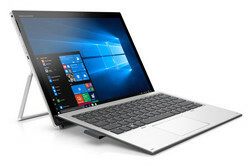 All in all, we still thin the EliteBook x360 1030 G3 is still an excellent mobile companion and customers with deep pockets will be happy with it. 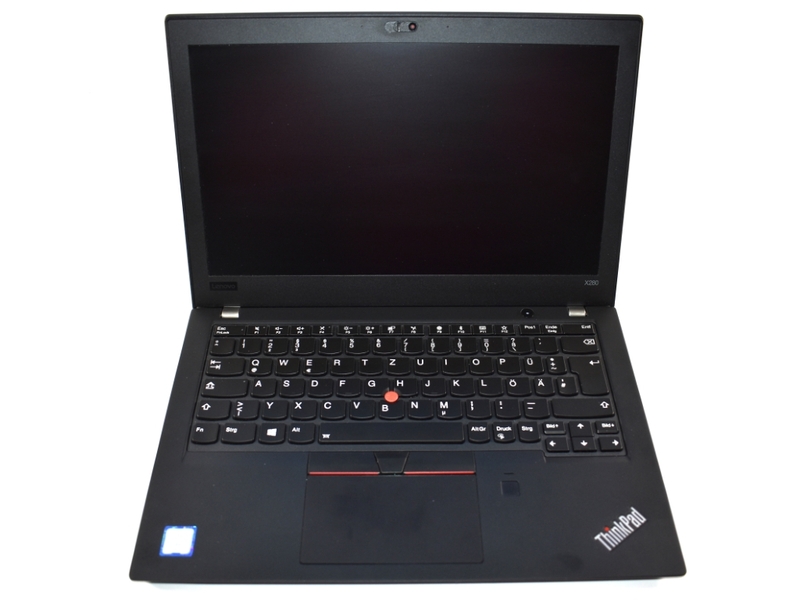 A less expensive alternative is the ThinkPad X280. It provides similar features, but it is smaller and you cannot flip the display around. 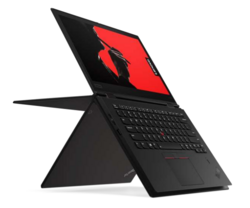 The direct rival is certainly the Lenovo ThinkPad X380 Yoga (here in review); the 13-inch convertible missed the ranking due to high emissions and reduced performance. If the 14-inch X1 Carbon is still too big, you might want to consider the ThinkPad X280 (here in review). The 12.5-inch system shares a lot of features with the top model, but is much more affordable. The weight of the X280 is now on par with the current X1 Carbon. Both the materials and the stability have been improved compared to the predecessor X270, while the weight was noticeably reduced. The author praises the comparatively cool chassis, dual-channel memory, excellent ThinkPad input devices, improved maintenance, as well as the matte IPS display with more than 300 nits luminance. Lenovo fixed almost all our issues we had with the X270: The fan is quieter, the device does not run as hot, the consumption was improved, and the display is brighter. There are only a few drawbacks like the performance throttling, the lack of the replaceable battery, the soldered RAM, and the missing Ethernet port. If you can live without Ethernet and the replaceable battery of the predecessor, the ThinkPad X280 is a much better package than last year's model. 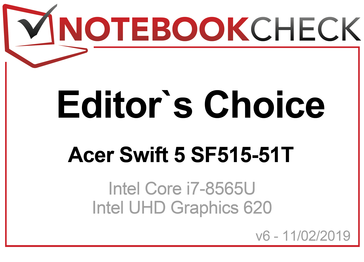 This is why the compact business subnotebook deserves our recommendation. 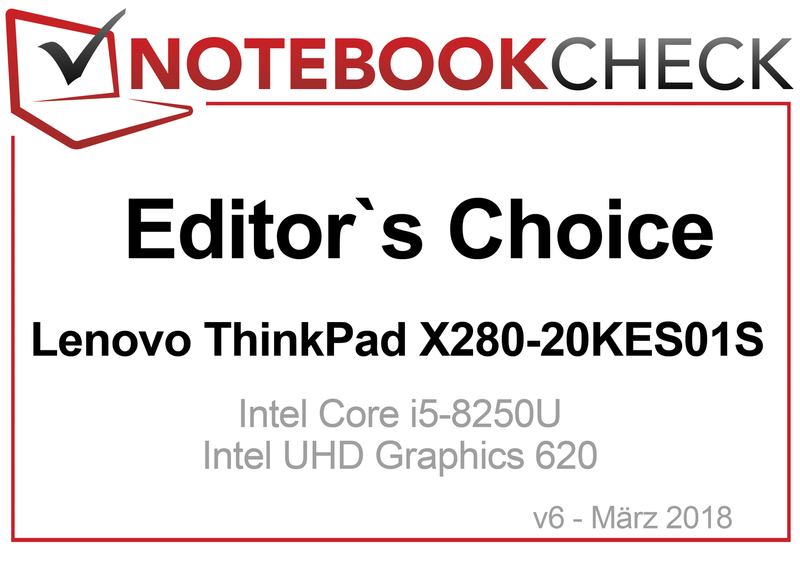 Thanks to the good package and the entry-level price of 1500 Euros, the X280 gets our Editor's Choice Award in March 2018. Fujitsu's Lifebook U938 (here in review) is a luxury lightweight laptop with a weight of just 920 grams. 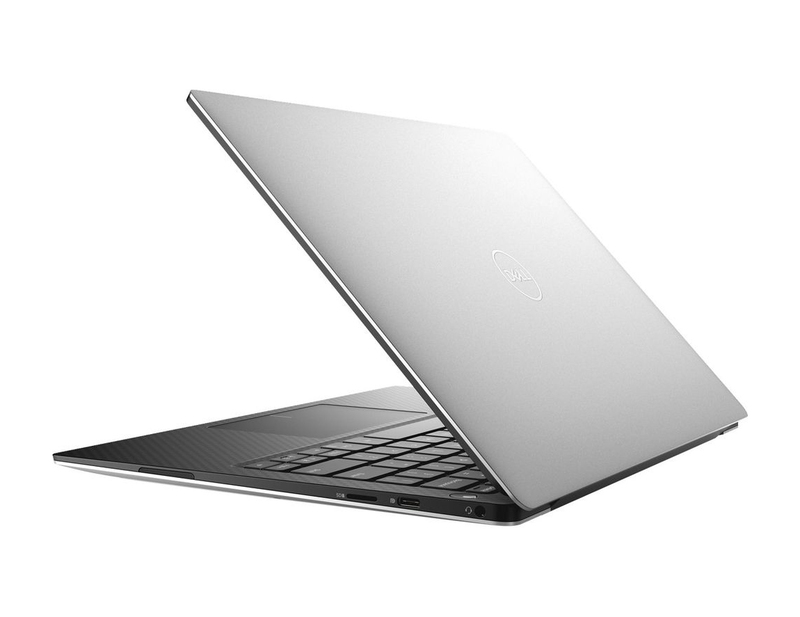 This means it is much lighter than the 13-inch rivals like the Dell Latitude 13 7380. The author criticizes the CPU performance as below-average for this SoC, but it is still sufficient for mobile applications, even without NVMe-SSD. Potential buyers will not expect workstation levels of performance in a device that weighs just 920 grams. You can still maintain the device, despite the slim construction, which is rare. The manufacturer unfortunately did not improve the high-pitched fan noise; the old U937 already suffered from this problem. Fujitsu's Lifebook U938 is a very light and compact subnotebook. However, we do not understand why the problems of the previous model have not been improved but just transferred to the new system. There is unfortunately no background illumination for the keyboard, even though this should be standard for a notebook in this price range. The U938 is still a good subnotebook, which also lasts a full business day thanks to a WLAN runtime of 8:30 hours. Microsoft saves in terms of connectivity for its second laptop, but you get an excellent screen. The second iteration of the Surface Laptop (here in review) is basically an update with a modern processor. The 3:2 aspect ratio is rare and is particularly useful for office users. We liked the 13.5-inch PixelSense display: it is very bright, covers sRGB almost completely, does not use PWM, and the color deviations are low. The Microsoft Surface Laptop 2 os a good choice if you want a high-quality laptop with a good screen, quiet operation, and good input devices. The lack of Thunderbolt 3 is unfortunate and hard to understand, but the limitations on you everyday experience are still small. Microsoft still uses a high-quality and sturdy chassis for the Surface Laptop. The performance is good and we like the speakers. The battery runtime of 9 hours is not bad, either. 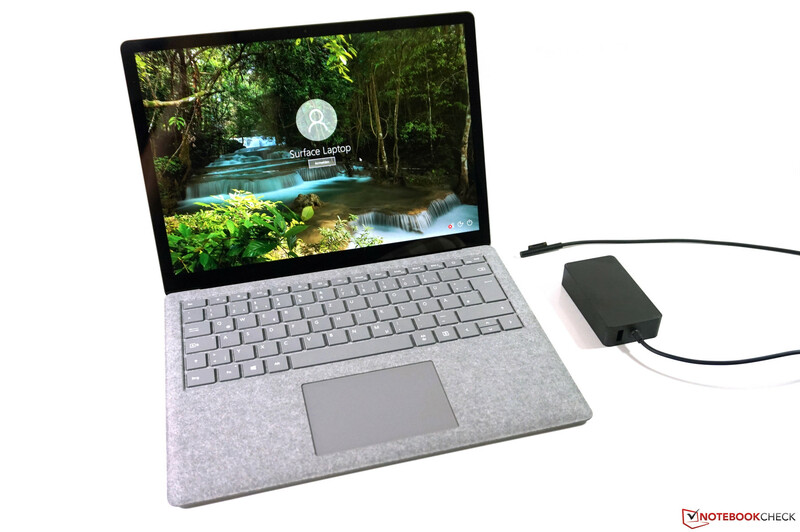 Microsoft unfortunately does not offer Thunderbolt, USB-C, BT 5.0 or an SD reader. You cannot maintain the device and the additional charges for RAM, CPU and SSD are steep. A good alternative is the current Dell XPS 13 9380 (2019). It is also available with a high-resolution screen and is superior in terms of connectivity. Lenovo's ThinkPad X1 Yoga 2018 (here in review) is a sleek convertible for professional users. We already liked the Core i7 HDR model of the 2018 X1 Yoga with its well-built chassis, good performance, and quiet operation, but for a steep price. The Core i5 model with the 1080p screen is much more affordable, but you can still enjoy many of the benefits from the high-end SKU. The Core i5 model of the X1 Yoga also offers many great features from the more expensive sibling, but is much more affordable. The performance hardly differs, and the excellent chassis is identical as well. Instead of paying a premium for a supposedly faster processor, you should prefer an upgrade to the HDR WQHD panel. This screen is noticeable brighter and has other advantages (contrast, color accuracy). The perfect combination would be the Core i5-8250U with the WQHD HDR screen. 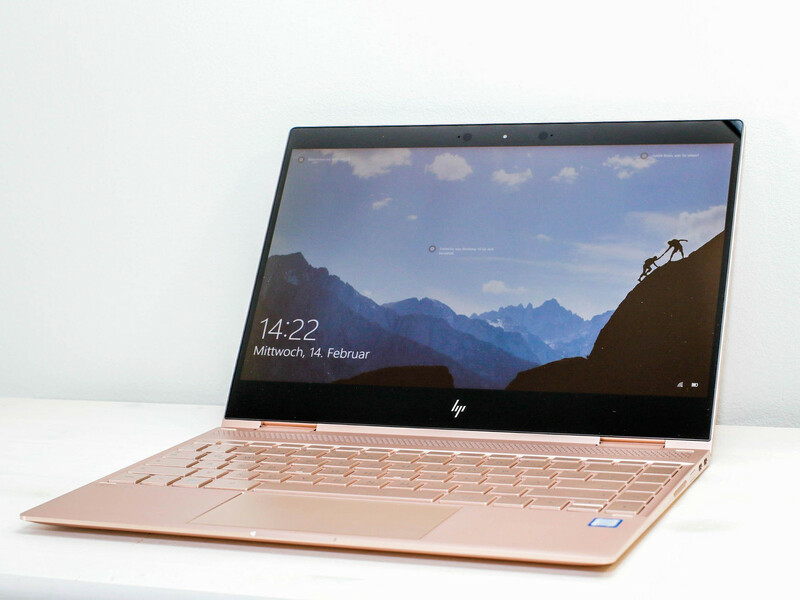 The HP Spectre x360 13 (here in review) is a good convertible, which almost would have managed to secure a top spot. Both the case and the build quality are, without a doubt, state of the art. The display with almost full AdobeRGB gamut and the high contrast ratio is a joy to look at. 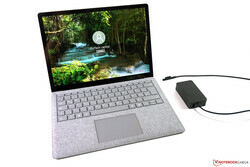 You also get a comfortable keyboard and touchpad, USB 3.0 Type-A and Thunderbolt ports as well as a microSD card reader. The performance alone does not justify the high price in our opinion, but the build quality and the unique design do. We criticize the performance, because there is massive performance throttling despite the low TDP. This might not be an issue for writing mails or web applications, but definitely for power users with. Then there is the average luminance, which makes it had to work with the very glossy screen. We also checked the UHD SKU: The Spectre x360 13-ae000 (i7-8550U, 4K UHD) did not last as long on battery (7:04 vs. 8:47 hours) and the Core i7 CPU is not really faster due to temperature related throttling, even under common workloads. 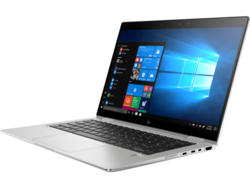 HP's Spectre x360 13 starts at 1300 Euros with a 256 GB SSD. The typical rival is obviously a ThinkPad X1 Yoga 2018, which is available with 2x Thunderbolt 3 and a faster SSD. However, it is not cheaper, either. A more affordable competitor would be the 13-inch Acer Spin 5 (i7-8550U, FHD, 16 GB RAM, 512 GB SSD) for 1250 Euros. The performance is similar, but the Acer Spin 5 lacks Thunderbolt. Dell offers the new 2019 XPS 13 9380. The cooling system with its dual fans ensures good performance utilization under sustained workloads, even though it is not always stable (Whiskey Lake quad-core). There is still an improvement over the 2018 model. The 2019 XPS 13 only reduces its performance by 8% under sustained workloads, so it is faster than the Kaby Lake Refresh quad-core in the predecessor. The case did not change; the XPS 13 still offers a nice design with slim bezels. A lot of display with a small footprint. The UHD screen, which is now provided by AUO (previously from Sharp) is bright, but the sRGB gamut is a bit lower. The webcam is back at the top of the screen, but we cannot commend its quality. The XPS 13 is a good option for all users looking for Thunderbolt and DisplayPort via USB Type-C and want a lot of performance in a small package. The battery runtime of 8 hours is nit bad, but not class-leading, either. The i5/1080p model from SKU managed almost 11 hours in the same test. The HP Elite x2 1013 G3 (here in review) is primarily designed for business customers and is the successor to the HP Elite x2 1012 G2. However, there are not many similarities since the Elite x2 1013 G3 is a complete redesign. 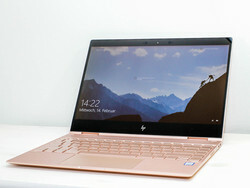 The new convertible appears slimmer and is powered by an Intel Core i5-8350U, which performed well during our review. The high-quality screen with a 3:2 aspect ratio fits the device very well and images are extremely crisp thanks to the 3K resolution. The cooling solution convinces with a quiet fan, even under load. All in all, HP offers a very convenient convertible without too many drawbacks. However, you should get an LTE modem for a price of almost 2000 Euros. The HP Elite x2 1013 G3 is a relibale business convertible with usable battery runtimes. The quad-core processor in combination with the NVMe-SSD ensure a responsive system performance.